Estimated completion in February/March 2019. Experience low maintenance living at the Skyestone Villas! This inviting floor plan features an extended front porch and spacious great room that opens to the dining area and kitchen. 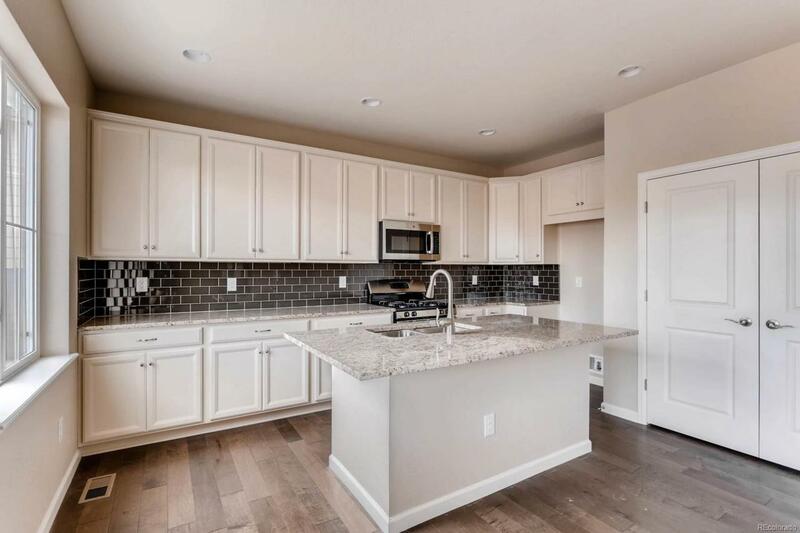 White painted cabinets with crown molding, granite countertops, stainless steel appliances including a gas range and center island with room for additional seating. Owner's Suite with double sinks, shower and walk-in closet. Guest bedroom with private bath and main floor laundry room. Additional highlights include laminate wood floors in the main living area, 2-tone paint, Ceiling fan pre-wires and additional electrical selections. Landscaping and snow removal maintained by the Skyestone Homeowners Association. Skyestone is a 55+ community and features a clubhouse complete with fitness center, pool, pickleball courts and full time Activities Director.